Isotretinoin is recommended for patients with moderate acne that produces scarring or distress, or for acne that persists following other treatments. Low-dose isotretinoin, e.g. 10 mg per day, is effective for most patients. What do prescribers need to know? Treatment with isotretinoin results in decreased sebum production. This reduces acne, prevents scarring and may lead to a better quality of life and improved mental health in some patients.2 Isotretinoin is subsidised subject to Special Authority approval; vocationally registered general practitioners or nurse practitioners working in a relevant scope of practice are able to prescribe provided they have up-to-date knowledge of the safety issues. N.B Dosing of isotretinoin at ≤ 20 mg per day may also occur due to weight-based calculations in a small group of patients who weigh 40 kg or less. Paradoxically, flares of acne are frequently reported by patients after three to six weeks of treatment with higher doses of isotretinoin.6 Flares of acne are less common in patients taking low-dose isotretinoin.3 If a patient is likely to experience flares of acne (see below), consider prescribing 10 mg isotretinoin, two to three times per week, rather than daily. The frequency can then be increased to daily, if tolerated, after four weeks. Expert opinion is that flares of acne are more common in patients with a large number of macrocomedones (facial closed comedones larger than 2 – 3 mm in diameter) or very severe acne. To decrease flares, expert opinion is that patients with particularly inflammatory acne can be prescribed trimethoprim, 300 mg per day, for the first six to eight weeks of treatment with isotretinoin. Why is low-dose isotretinoin an unapproved regimen? When discussing isotretinoin treatment ask how the acne is affecting the patient’s mood and consider their prior mental health. Inform the patient that there have been reports of depression in patients taking isotretinoin and ask them to report any adverse changes in mood. Patients who experience a relapse of acne may be offered a second course of isotretinoin eight weeks after treatment is completed;1 this can be expected in approximately 22% of patients.5 Patients with risk factors for acne that is slow to clear are also more likely to experience a relapse as are those who discontinue treatment before their acne has cleared and those with excessive seborrhoea after treatment has finished.6 Extending the treatment period to four to six months after acne has cleared may reduce the risk of relapse for these patients. Consider discussing patients with a dermatologist if they experience multiple relapses of acne despite being adherent to treatment. There is no evidence that Māori or Pacific peoples have lower rates of acne.13 It is therefore reasonable to expect that Māori and Pacific peoples would be prescribed isotretinoin at rates similar to that of New Zealand Europeans. However, analysis of New Zealand prescribing data from 2008 to 2015 suggests that Māori and Pacific peoples may not be receiving equitable treatment for acne compared to New Zealand European and Asian people (Figure 2). It is not known if these differences in prescribing are due to under treatment, disparities in access to care, personal attitudes to acne or a combination of factors. Clinicians in primary care can help to improve acne treatment rates among Māori and Pacific peoples by discussing acne with all patients who are affected and ensuring patients know that treatment with isotretinoin is available. Isotretinoin contains soy bean oil which in theory can cause serious reactions in patients with peanut allergy. 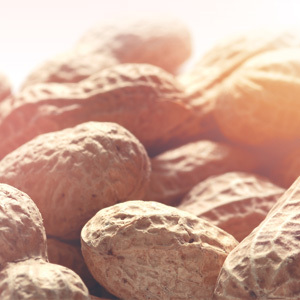 The British Association of Dermatologists, however, advises that it would be an “exceptionally” rare event for a patient with peanut allergy to have a cross-reaction to soy proteins in soy oil.7 Soy products are widely used in foods and hypersensitivity in a patient is likely to have been previously identified. Furthermore, soy bean oil in pharmaceuticals is usually refined or hydrogenated and very unlikely to be as allergenic as soy bean protein. Thank you to Associate Professor Marius Rademaker, Clinical Director of the Dermatology Unit, Waikato, DHB, for expert review of this article. Ministry of Health. Pharmaceutical Claims Collection. 2016. Moodie P, Jaine R, Arnold J, et al. Usage and equity of access to isotretinoin in New Zealand by deprivation and ethnicity. N Z Med J 2011;124:34–43.